Amsoil Wholesale synthetic Motor Oil. Amsoil Wholesale synthetic Motor oil has a documented history of innovation and leadership. In 1972, AMSOIL introduced the first American Petroleum Institute rated 100% synthetic motor oil for automotive applications, now that you can get wholesale. AMSOIL was the first to introduce a concept of "extended drain intervals" with a recommended 25,000-mile / 12-month drain interval. AMSOIL lubricant technology has been field tested over the last 35 years in the most severe driving conditions. Including family fleets, over the road big rigs, towing, hauling and of course racing motoroil, diesel grease, filters gear lube. 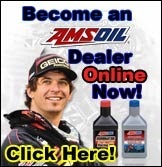 See how to get Amsoil wholesale by clicking here. AMSOIL wholesale 0W-20 (ASM), 5W-30 (ASL) and 10W-30 (ATM) Synthetic Motor Oils join AMSOIL Signature Series 0W-30 to round out the new Signature Series line. Signature Series 0W-30 is now identified by product code AZO. Product code SSO will be discontinued and is only available while supplies last. AMSOIL wholesale XL Extended Life Synthetic Motor Oils provide better wear control, high- and low-temperature protection and increased fuel economy compared to conventional oils. Formulated with extended-drain boost technology, AMSOIL XL Synthetic Motor Oils provide superior performance for up to 10,000-miles/six months, or longer when recommended in owner’s manuals or indicated by electronic oil life monitoring systems. Click here to See all the 10k mile oils. AMSOIL wholesale Synthetic Motor Oils dramatically outperform conventional petroleum motor oils. Synthetic lubricants are engineered, synthesized lubricants consisting of 100% PAO Formulated Basestock Technology, and maybe made to fulfill virtually every lubricating need. The molecular uniformity of synthetic lubricants promote superior lubrication and friction reduction, which in turn promotes superior heat control, wear control and energy efficiency. Molecular uniformity also helps synthetics maintain their protective viscosity in high-temperature operations, which also promotes superior wear control. Because they are derived from pure chemicals, synthetic lubricants contain no contaminants or molecules that “don’t pull their own weight”. Synthetic Lubricants contain no paraffin or wax molecules like conventional lubricants. Why AMSOIL wholesale Synthetic Motor Oils? They reduce friction, heat and wear for maximum power, performance and fuel efficiency. Resistant to high temperature burn off, chemical breakdown and "sludging" keeping engines cleaner. Provides low temperature fluidity for fast, dependable winter starts and cold start protection. Exceed the most demanding world-wide performance standards and meet warranty requirements for all domestic and imported passenger car engines, both turbo-charged and non-turbo-charged. AMSOIL Signature Series provide up to 25,000-mile or 1-year drain intervals. What are the benefits of being a Preferred Customer? Buying wholesale! As a Preferred Customer, you can buy all of AMSOIL products at wholesale prices (the same exact prices that dealers pay). Customers who are not Preferred Customers are charged full retail pricing from the catalog at time of purchase. AMSOIL ships to all customers and dealers through U.P.S. from various warehouses throughout the United States and Canada, so shipping is typically very fast no matter where you live. The Preferred Customer program allows the public to be able to buy at the same wholesale prices that a dealer would pay without the responsibilities of being a dealer. This will enable you to receive anywhere from up to 25-30% discounts on all products. You can always renew the membership in the future at any time to continue to receive the benefits of the substantially lower wholesale pricing. Once again, to see the savings, click here to get the wholesale price list. As a Preferred Customer, you will not have to pay the retail pricing and there's no limits on orders. Simply take a moment to fill out this quick and easy form and we will get your membership processed right away. Synthetic Distribution LLC is an authorized distributor of Amsoil Wholesale Motoroil Online, the Finest Quality synthetic lubrication products on the market today! From synthetic motor oil, compressor oil, 2 cycle oil to synthetic grease and gear lube, Amsoil has it all. No need to worry about what products are right for you, we can match up your application with the correct Amsoil product and have it shipped directly to your door step in a matter of days. Let us work with you and answer any questions you might have about our synthetic products. Simply fill out this form What do I need? or use the Product ApplicationGuide to get your needs answered. You may also email your question to synthetic-distribution@q.com . We will do our very best to resond to your email within 24 hrs. mon-Fri. I look forward to working with you personally. If you have any questions, you may want to first look at the retail online catalog , available free by filling out the Catalog Request form.You can also Email me or visit the AMSOIL Online Storefront for product information and online ordering. If you are still unsure of your needs, simply fill out THIS FORM and I will get you the information you are seeking. NOTE: TO GET DEALER PRICES, CHOOSE THE "BUY WHOESALE" OPTION IN THE NEXT WINDOW AFTER YOU PICK A CATEGORY BELOW. TO ADD THE PREFERRED CUSTOMER DISCOUNT TO YOUR SHOPPING CART, CLICK ON THE "SAVE 25%" LOGO ON THE PAGE THAT COMES UP. 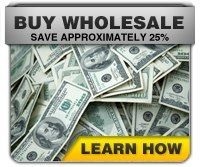 YOU WILL RECEIVE THE WHOLESALE DISCOUNT ONCE YOU ADD THE P.C. DISCOUNT TO YOUR CART, WHOLESALE PRICING WILL BE DISPLAYED FOR YOUR ORDER. 6 MONTH TRIAL, OR 1 YEAR MEMBERSHIPS ARE AVAILABLE.